You might think that the only thing you will need passport photos for is your passport – nothing could be further from the truth. There are several other reasons that you should take your surplus passport photos with you on foreign journeys, and here we run through some of the most important. Depending on your country of destination, you could be asked for a passport photo when applying for a card or pass on your trip. This could be to one of the national parks in Africa, where many countries ask for passport photos in order to process a multi day pass for your stay. Planning to stay in touch with loved ones and friends back home while you are away? In that case, you should be aware that in some cases you might be asked for a passport photo in order to register for a native SIM card or phone package. If you are travelling through a number of countries and haven’t arranged your visa prior to travel, or plan to extend it once you are in your destination country, in a lot of cases it can be a good idea to carry a passport photo in case you need to provide one. 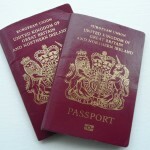 Should the nightmare scenario occur, and you have either lost your passport while abroad or had it stolen, you will be glad of an extra passport photo if you need to arrange a new passport while you are away. This is relevant for those in need of a quick replacement to enable them to travel onwards. 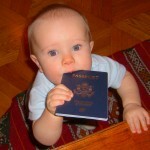 Have you ever thought about using your passport photo as a luggage identifier? This is really easy to do – just slip a passport photo alongside your address details in the plastic display provided on many pieces of luggage, and make it easier for your belongings to be identified should you ever be parted from them. So there you have it, other uses for your passport photos that make them an important inclusion to pack for your trip – it is better to be safe than sorry!